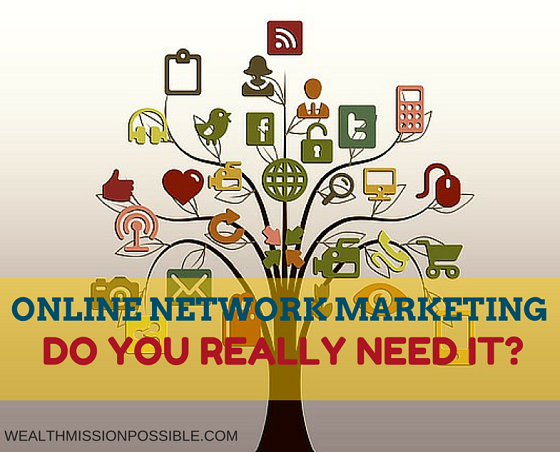 Online Network Marketing: Do You Really Need it? You’ve probably heard a lot about online network marketing and wondering if you need it for your home business. If you’ve not conducted business online, it may be foreign to consider right now. But you should definitely do it no matter if it makes you uncomfortable right now! 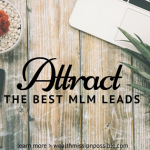 When I was first introduced to online network marketing, I caught the vision of how the Internet could help people find me instead of the other way around. Finding people in the real world does work but with a full time job and other things happening in my life, the number of people I could possibly meet was exponentially smaller, than the number of people I could meet online. That one decision changed my life forever! I began to have a real vision of how online network marketing could help me expand my reach and build a profitable business that went beyond my physical location. The Internet is not magic, it’s a tool. 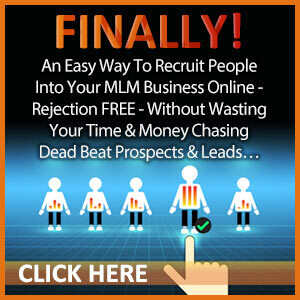 When used correctly, you can build an amazing network marketing business online. That’s exactly what I did! Let’s dive into the details of what you need to do to make it happen. Before you head off to the Internet to market your business, develop a strategy so you know exactly what and how you are marketing. You want to feel good about your marketing, don’t you? If you just go off to do some Internet marketing without this step, it will likely not turn out well. Understand this and the rest is easy! In any network marketing business, customers and business partners are essential to success. So you should know who you are marketing to before anything else. This means understanding what your potential customers want and building a marketing plan that addresses those wants and needs. If you aim at no one in particular, you won’t get results. Spending money or joining a business can be an emotional undertaking! Just knowing the features or benefits of a product is not always enough to entice someone to buy or join. But, if you have a story that someone can connect with, now you become more appealing to your audience. I can only assume that you plan to be an online network marketer you will maintain a blog and a social media presence. What would happen if you had the most awesome blog in the world but no one visited it? Your online business wouldn’t get very far now would it. So, in order to grow your business online you need to understand how to get traffic to your online assets and social media profiles. Don’t wait to figure this out after the fact. Have a plan for what you will do. What if you get a ton of traffic to your blog or social media profiles but none of it converts? That just means that some percentage of visitors will become a subscriber, prospect, customer, or business partner. So if you do everything else correctly, but get a very low conversion rate, you’ll be building your business in the very slow lane. 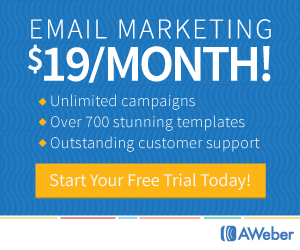 Learn about how to write great copy and create calls to action that work! You can learn more about that here. 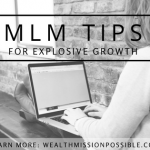 After you have a good foundation and plan in place, now you can start figuring out which online marketing methods to use to build your MLM business. Here’s a list of the top five but don’t do them all at the same time! Focus on one until you master it, then move on to learn another. Do you have a blog for your network marketing business? You should! As I always say, it’s an asset for your business. You own it, you control it and it can earn you income for years to come. I still earn income from blog posts I wrote in 2009. I know, it may seem a little overwhelming to start and maintain a blog but you should think about your future. What would have happened if I didn’t start my blog? I would be without a lot of income right now! I recommend the blogging platform via MLSP. Not only do you get an amazing WordPress blog with all the cool features, but you get access to an entire training portal. Learn more about that here. Do you want access to 100 million daily active users? Then Snapchat is the mobile messaging application you’ll want to learn how to use effectively. As the fastest growing social network, you can easily increase awareness of your brand and develop an engaged community. Download your Snapchat secrets here and learn how to use it. Are you using Twitter? Can you imagine having 4 million people seeing your Tweets each month? I am amazed at the traffic I get from Twitter as well as the connections I make there. That’s right, 140 little characters can be huge for your network marketing business online. Click here to learn how to get your Tweets in front of millions of people! You know that little online mobile photo-sharing, video-sharing, and social networking service that enables its users to take pictures and videos, and share them? Well, you can really boost your network marketing business using Instagram. With over 500 million active daily users, you’ll have an endless of supply of people to attract to your business. Click here for a free Instagram business blueprint training. I know you must be on Facebook. Are you using it effectively for your network marketing business online? You should! It’s not just about cute kittens and funny memes. You can download this free Facebook PDF and watch a tutorial about how to get your audience engaged in just a few minutes a day. If you’ve ever dreamed of have a rock start, global business that can grow 24/7, then online network marketing is the way to go. Imagine that at any time of day or night, someone in the world could be using the products you offer or building a leg of your team. It’s all possible with Internet marketing. 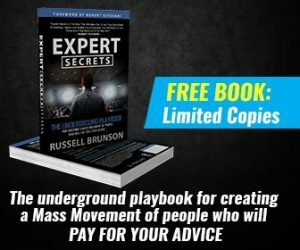 To learn more about a powerful system that I use to learn all the latest strategies and tools, click here. This is a well detailed guide and I’m sure that this will be an informative article for every online entrepreneur.